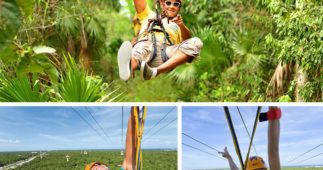 Available for cruise passengers. 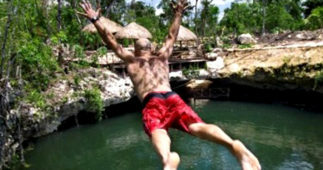 Ferry available to Playa del Carmen. 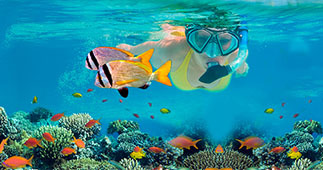 Pick ups are made from 08:00 AM a 09:00 AM pick ups (the duration of pick up is approximately an hour, depending on the number of hotels on the itinerary) Exact time for your pick up will be send to you after booking. 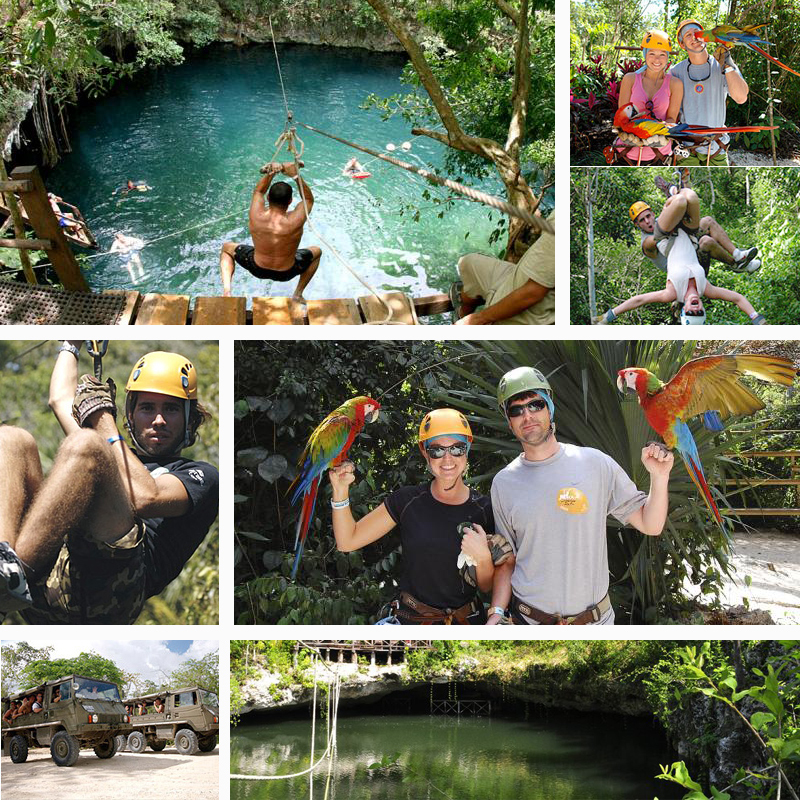 SKU: extreme-canopy-adventure-tour. 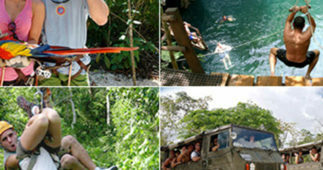 Categories: Adventure Tours. 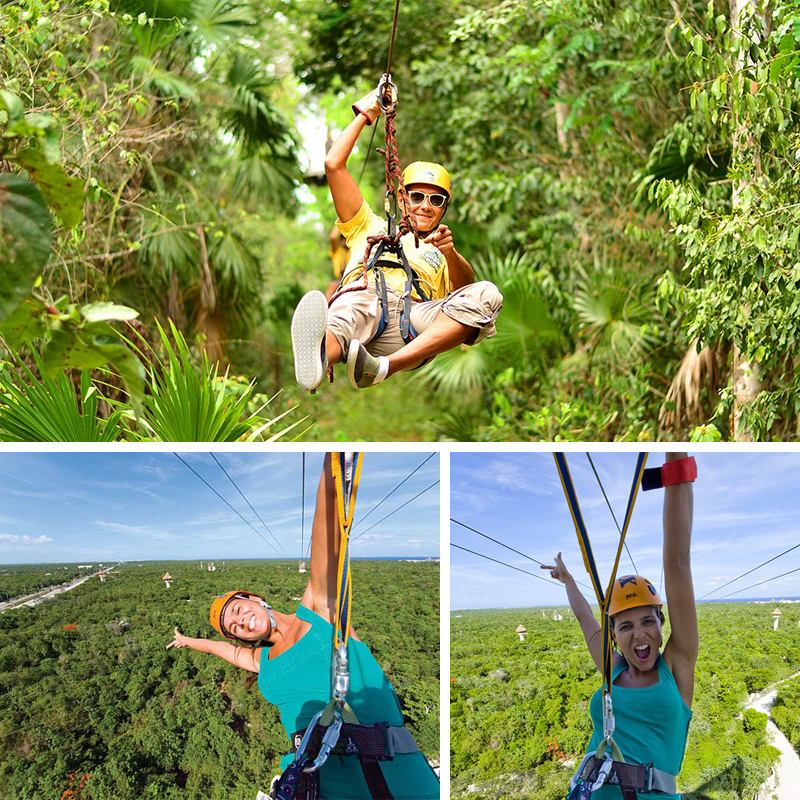 If fast is not enough or high is nothing for you, then it is time to get ready to experience real extreme and jump in for the ride of your life on one of the fastest, highest, and longest zip lines in the Riviera Maya in the Extreme Canopy Adventure that will take you to the next step in Cancun adventure! 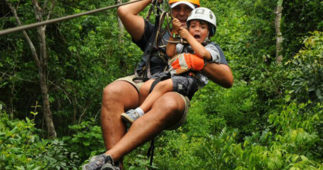 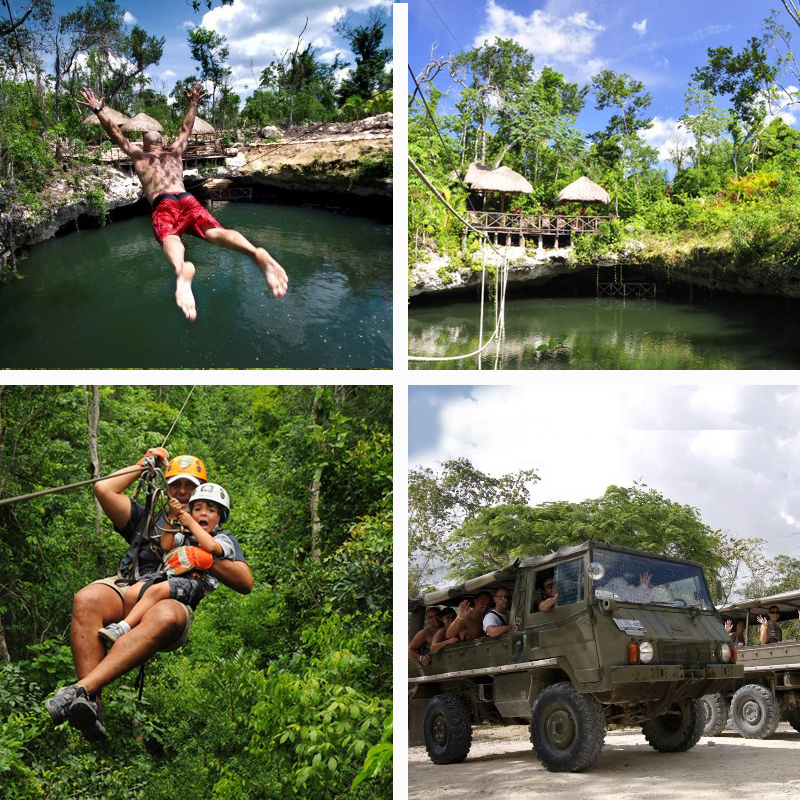 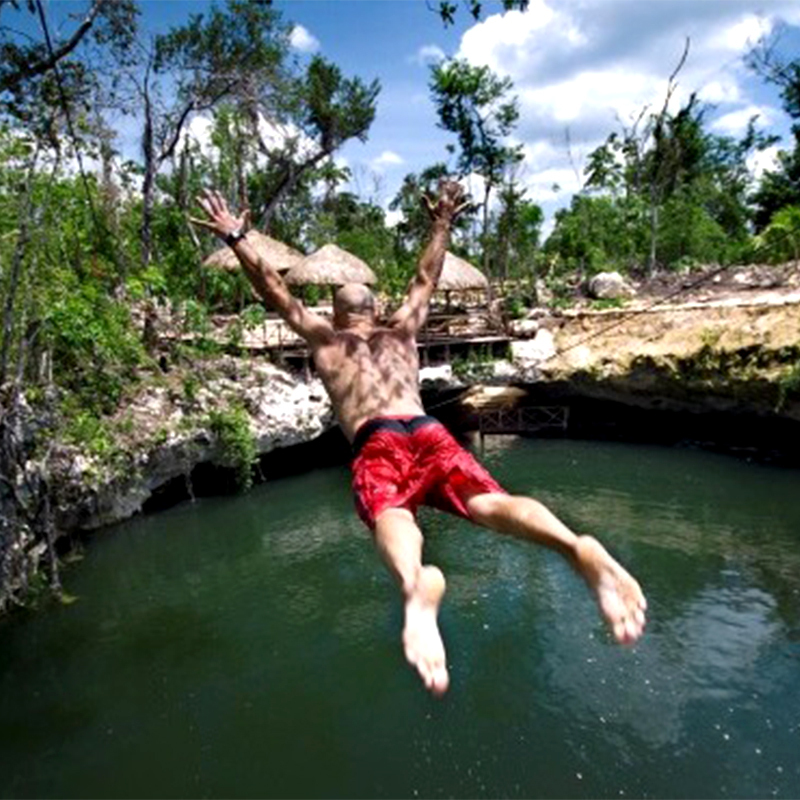 Ride on 12 amazing zip lines with more than 2 miles of thrill and then hop on our army truck to discover the hidden cenote deep in the Mayan jungle. 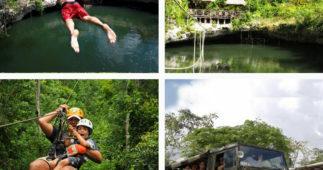 Our Cancun excursion begins with pick-ups at the lobby of your hotel in Cancun or Riviera Maya and once we’re all aboard we start our journey towards the community of Central Vallarta, where our park is located, just 40 Minutes from Cancun or Playa del Carmen. 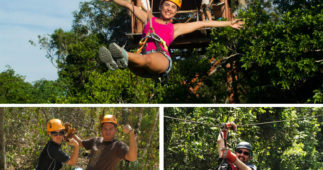 Upon arrival, you’ll be welcomed by our friendly staff who will help you with your check in at “Casa Zulu”, where you will find a restaurant, bar and lockers, all in a beautiful jungle ambiance. 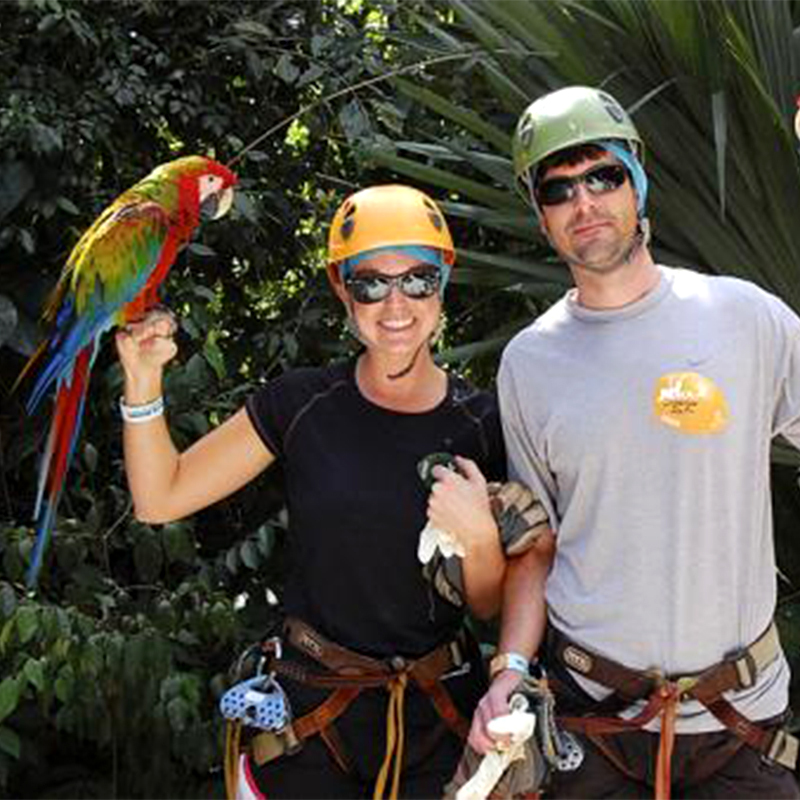 After a safety briefing and receiving all your equipment, it’s time to begin the first Cancun adventure with the “Extreme Canopy Tour”. 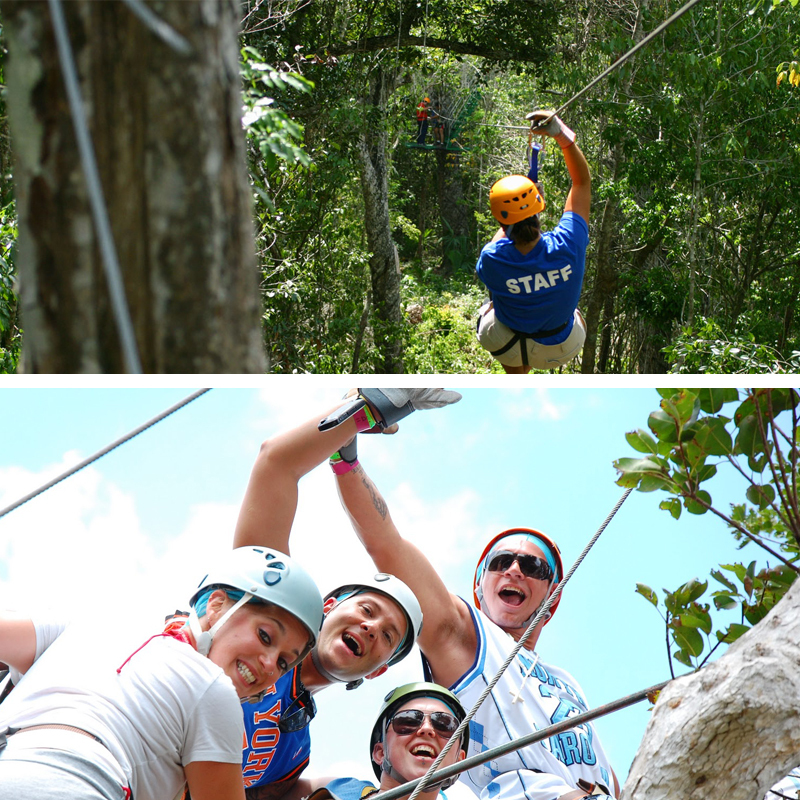 All thrill seekers are welcome to experience THE NEXT LEVEL! 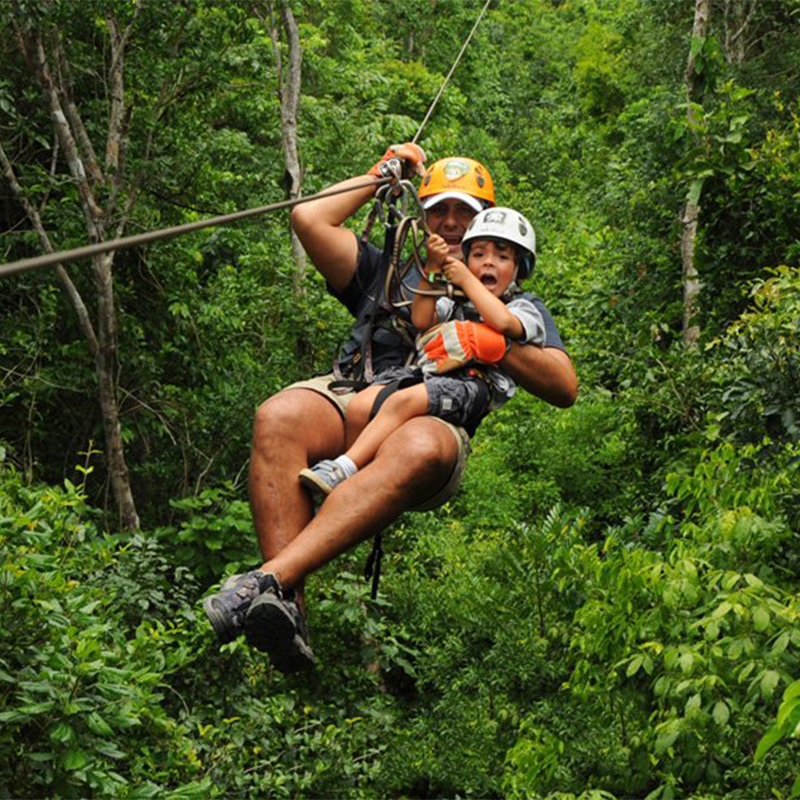 Extreme Canopy Tour in Cancun is set upon our “EXTREMO” circuit, zip lining on 12 cables all hanging above the thick Mayan jungle. 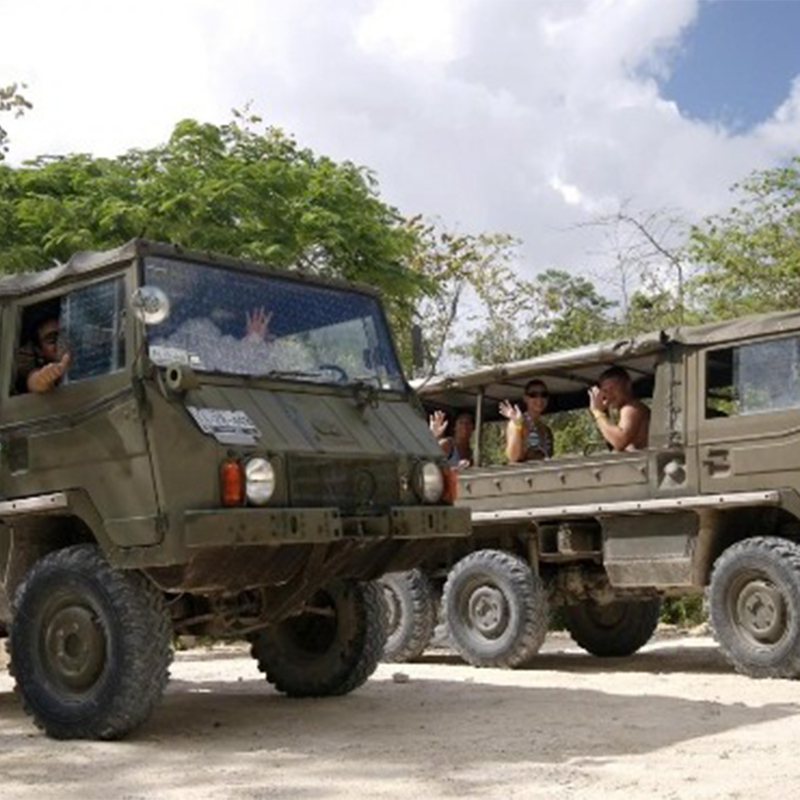 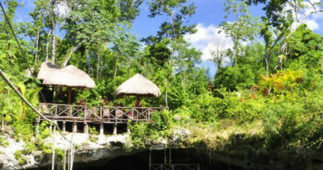 Next, hop on our fully equipped military truck to head to our next stop, the cenote “Lukuma”. 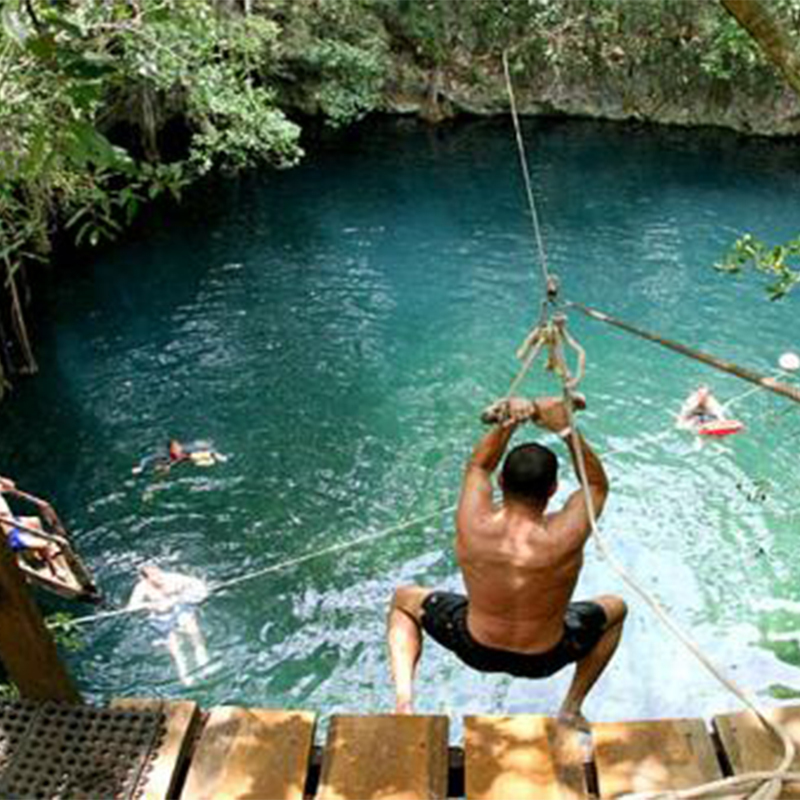 After driving through the Mayan jungle we will arrive to the open cenote (natural sinkhole) where you will be able to jump in and have a refreshing swim but not before enjoying our custom-made zip line that ends in a fantastic splash in the middle of the cenote. 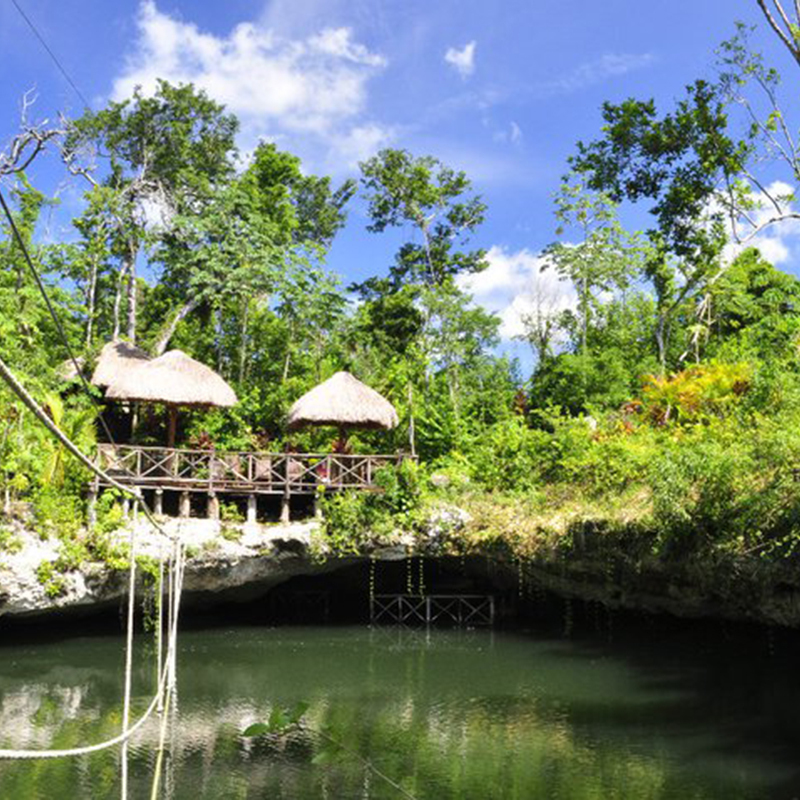 After you finish your refreshing swim at the Cenote Lukuma, you will start our journey back to Casa Zulu where you will be served a complementary lunch and refreshments. 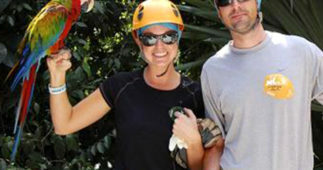 Activities not suitable for pregnant women or guests with back pains, heart problems or if you’ve had surgery recently. 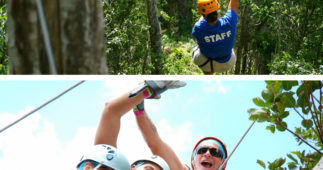 Pick up is available in most of hotels in Cancun and the Riviera Maya. 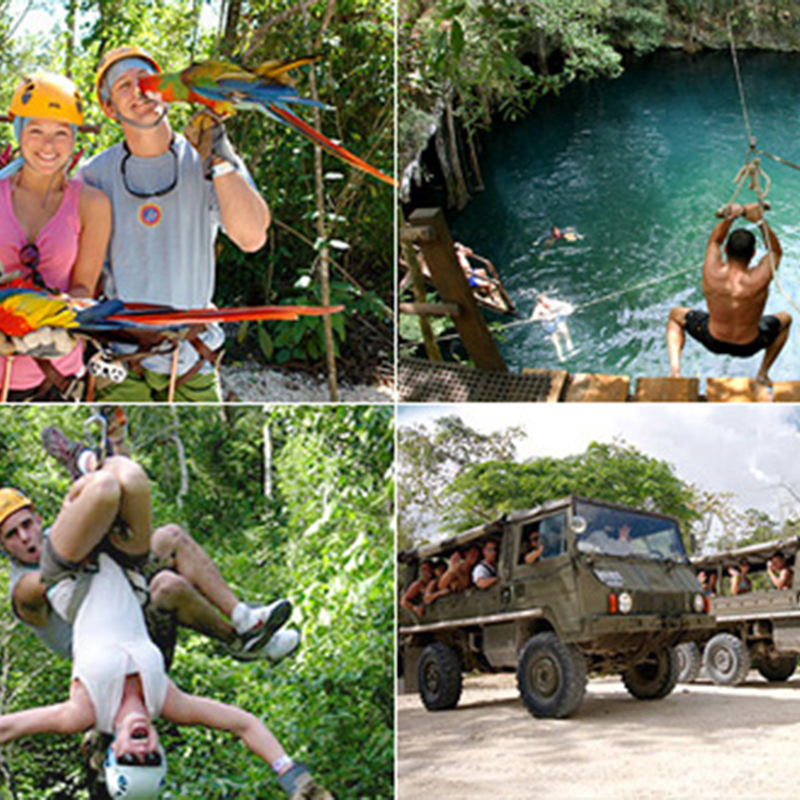 Exact time of your pick-up will be sent by email after booking. 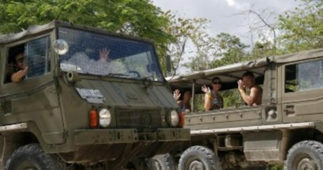 In case we don’t have pick-up at a specific hotel, a nearest meeting point will be assigned.